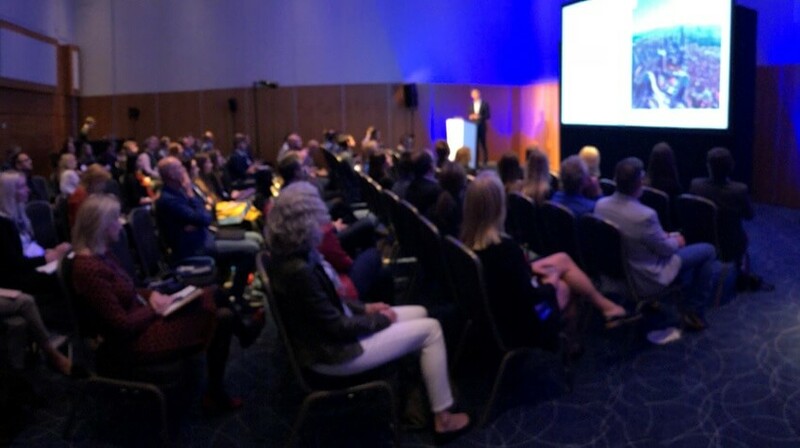 For those who may have missed out, this year at the SiriusDecisions EMEA summit, we hosted a session with our friends from Canon focused on building a centralized marketing resource. Throughout the session, we shared our experiences and gave our audience the chance to vote on critical questions around the discussion, and here are the results! Take a look and enjoy a little perspective on your fellow marketer’s views and challenges. If you could build a marketing function from scratch, which of these would be your priority? As you can see from the above, the results for this question are pretty clear. 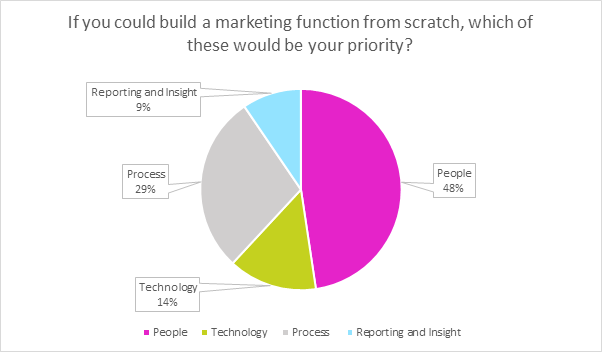 Almost half of participants would prioritize ‘People’ above all else when building a marketing function. This makes perfect sense, after all, you can have the best process, tech and reporting capabilities in the world, but if you haven’t got the right people to manage and utilize them, you’re not going to make it very far. Getting the right people, expertise and skills in your marketing function is critical to short and long-term success. Now these results were interesting, but not all that surprising. There were no advocates in the room for the regional model, it’s clear decentralization is not the ‘in-thing’ right now – and for good reason. 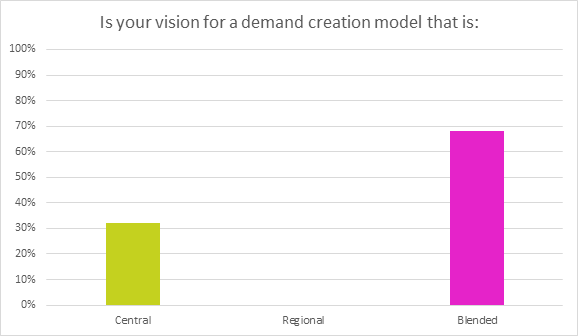 With that said, there’s still an appreciation for regionalizing certain aspects of demand creation, as the majority voted for the ‘Blended’ model. Whether this is because it’s more practical with the legacy systems and processes currently in place (so it’s easier to achieve) or because it’s a genuine preference, it’s hard to tell. While the ‘Blended’ model can offer the best of both Centralized and Regional models, it can be difficult to manage as friction around ownership and accountability is commonplace in this approach. Now this one’s a classic, it’s not a marketing event if you’re not asked at least once about your greatest challenges. You can see from the above that there was a roughly even split between the four options. 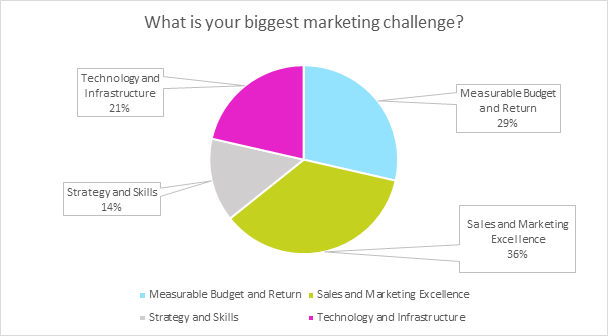 ‘Sales and Marketing Excellence’ took the top spot with just 36% of the vote and this suggests that both Sales and Marketing departments know they can do better, many are clearly not happy with their current level of performance. Unsurprisingly, ‘Measurable Budget and Return’ followed closely behind, the need to access metrics that help determine spend and attribution is more important now than ever, and it wouldn’t be surprising to see this number grow in the future. What kind of GTM data do you have access to? So, let’s talk go-to-market data, the more you know, the better your position to make the big decisions when they count most. There’s nothing worse than making a call based on little more than instinct and the occasional data point. So it really highlights the scale of the challenge at hand that less than 20% of respondents feel they have access to comprehensive data for any of their markets. The majority have some, but clearly this doesn’t go into the detail necessary to deliver the greatest value. Moving into the future, companies will need to ensure they have the capabilities to capture, analyse and utilize their data to yield the very best results. Keep your eye on our blog for more great content from SiriusDecisions EMEA and APAC throughout October.